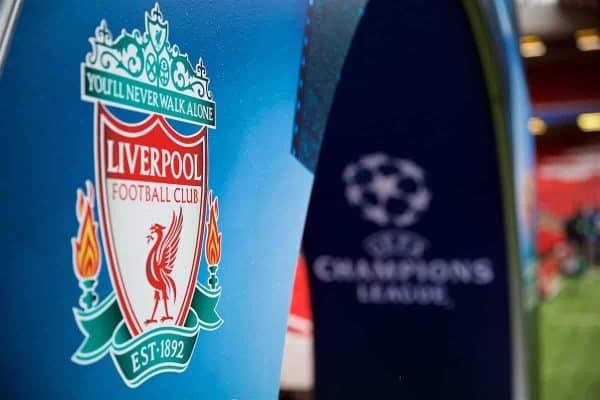 Here’s how to watch as Liverpool take on Napoli in the Champions League tonight (8pm GMT), with a place in the last 16 at stake, live online and on TV worldwide. Though the Reds sit top of the Premier League after a series of excellent results over the weekend, they are considerably less comfortable in Europe. Heading into the final game of the group stage, Jurgen Klopp‘s side are third in Group C, needing victory over leaders Napoli to ensure progress to the next round. A 1-0 win will do, but if the Serie A outfit score Liverpool will be required to beat them by two clear goals to guarantee their fate is in their own hands, with Red Star hosting PSG at the same time. Defeat could see a drop down to the Europa League or even a lack of European competition altogether, and having already been knocked out of the League Cup this would be a major letdown at Anfield. Fortunately, tonight’s clash is at home, and Klopp is looking to harness the power of the Kop to give his side an extra boost as they push for the last 16. The match gets underway at 8pm (GMT)—or 9pm in Naples, 3pm in New York, 12pm in Los Angeles, 7am (Wednesday) in Sydney, midnight in Dubai and 11pm in Nairobi. Liverpool vs. Napoli is being shown live on BT Sport 2, which is available to live stream here. Live audio commentary of Liverpool vs. Napoli and a full match replay and highlights on will also be available on LFCTV GO here. Get your first month free with the code GOFREE1819 by following the link here. You can follow the action with us by downloading the This is Anfield app for free.